This is a common issue when starting from v4.master (I am reusing a highly customized masterpage that was based off of v4.master). This hides the search that will be deactivated anyway, leaving remnants of a search area (you can also hide the wrapping container with CSS). In a normal SharePoint 2010 site, the Site Actions menu is generated by the second <SharePoint:SPRibbonPeripheralContent…> (there are 2 tags – this is the first, with class ms-siteactionscontainer) tag. 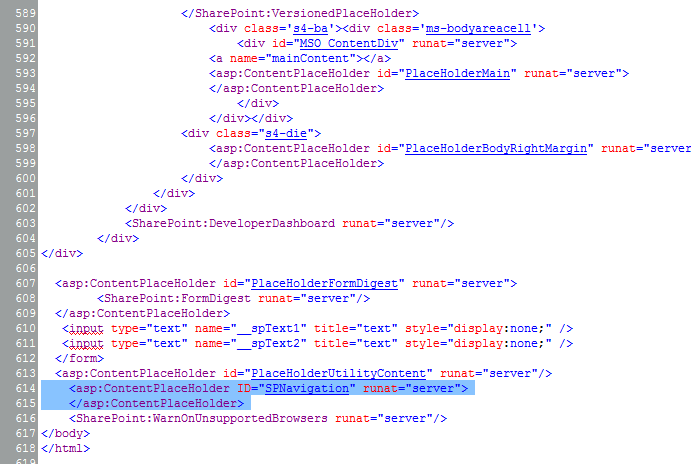 The 2nd Site Actions menu you see in a FAST Search Center is generated inside the <asp:ContentPlaceHolder ID=”SPNavigation” runat=”server”> tag. Which do you use, and which do you hide? 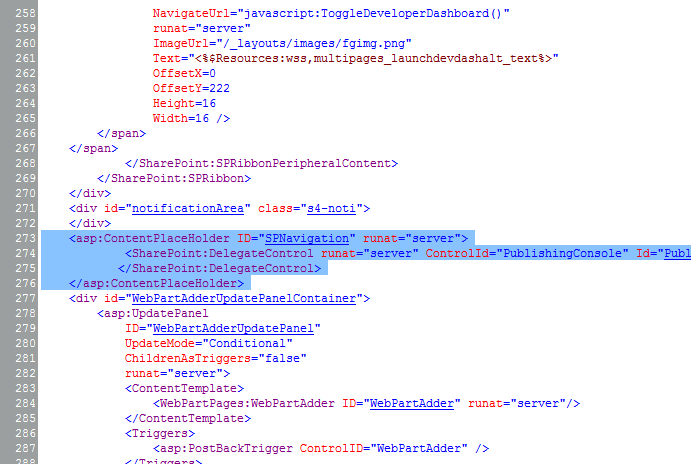 You don’t need both tags – you can dump the <SharePoint:SPRibbonPeripheralContent menu altogether, but doing so can remove functionality your users might expect (the short list above). 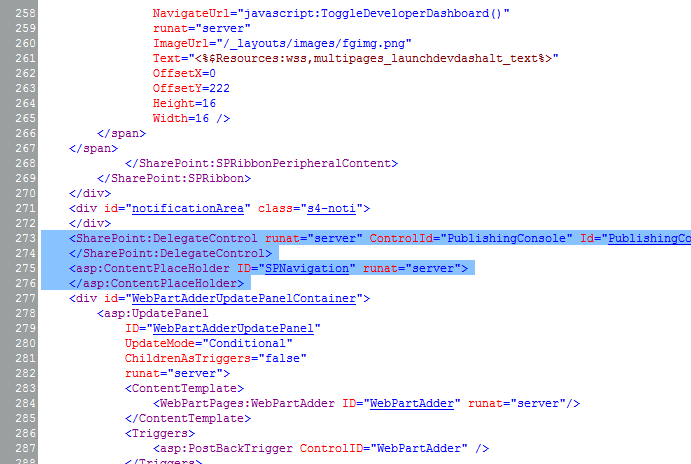 SPNavigation is required for the SharePoint masterpage to render (it will error out without it). Move the empty SPNavigation tag to the very bottom of your page – that’s it.